The two Rays who married into our family were brothers. The family was in Limerick by 1852, but may have come from somewhere else, possibly Dublin. bapt 22 Feb 1852 [St.Michael's, Limerick]. 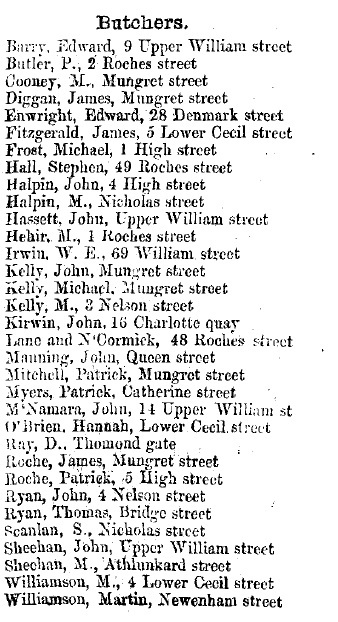 Above is the listing in [Directory of Cork & Munster, 1867].